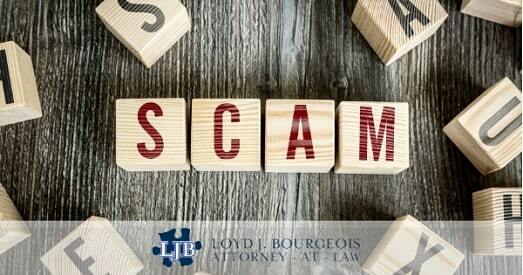 Social Security has made me aware of another scam targeting Social Security recipients. It appears there are individuals again calling around claiming to be Social Security representatives in an attempt to scam individuals by obtaining and exploiting their personal information. In this new call, an automated message gives you a "warrant number" and tell you that your social security number has been suspended. This statement can be especially concerning to those who depend on Social Security benefits. The caller then asks for personal information such as your birthday, mother's maiden name, account numbers, and social security number in order to "reactivate" it. One way this scam has worked is because the number that pops up in caller ID is faked to be the same as the real Social Security hotline, 1-800-772-1213. In general, no government agency or reputable company will call or email you unexpectedly and request your personal information, or request advance fees for services in the form of wire transfers or gift cards. Build a habit of verifying the identity of anyone who asks for your personal information over the phone, and say you will respond through the entity's customer service channels. If anyone pressures you to provide information or money over the phone, it's a scam and you should just hang up. SSA will never call to threaten your benefits, suspend your SSN, or tell you to wire money, send cash, or put money on gift cards. Anyone who tells you to do those things is a scammer. As a general rule, never give your social security number, account numbers, or birth date to anyone who calls you on the phone. If someone calls requesting this information, immediately hang up. If in doubt, you can then directly call the SSA office to check your account.